Money makes the world go round. The concept of money is certainly not new; even people in the olden days used various methods of payment in order to get their desired goods. But, the concept has changed a bit since then. We live in a capitalistic regime where our invested time is measured in currency. We do not have to like it, but these papers and metal coins hold great value nowadays. This is why it might be a bit difficult for children to grasp the whole theory behind it. Nonetheless, it is your duty as a parent to find smart and innovative ways to welcome your children into this world. It is really important to start teaching your children about the concept of money from an early age. There is no need to overburden them with too much information at once; it is recommended to take it one step at a time. For very young children, this sphere of life might seem a bit dull, so it is crucial to bring some fun into it. 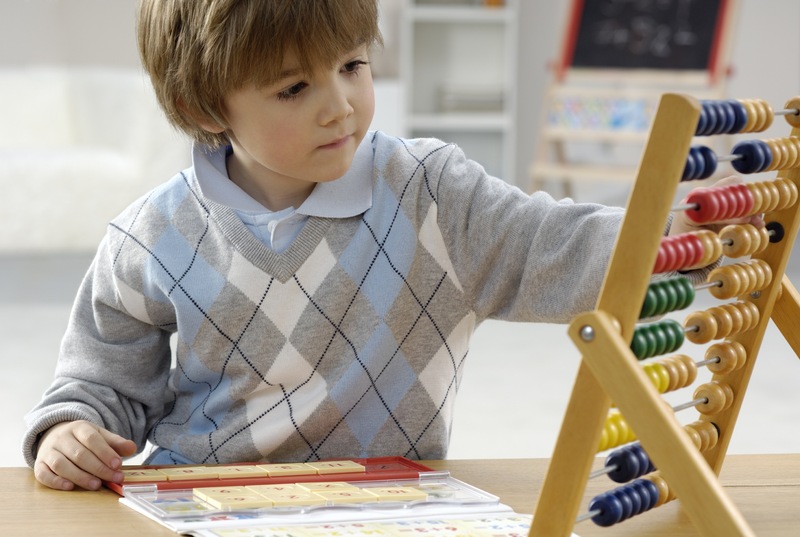 Fortunately, there is a possibility of introducing your children to cool math gamesthat will enable them to better grasp the concept of calculation, decision-making, problem-solving, etc. These skills are very much needed in order for children to learn about the basics of saving and handling money. Turn the usual boring activities into family fun time. Implementing your children in this process can have positive outcomes for both sides, as it can be a great learning process for them and you could certainly use some help. This is a great opportunity to show your children how much money on a monthly basis is needed for house utilities, internet connection, groceries, etc. After this, you can explain how much money you make and let them calculate on their own about all the expenses in the household. This process can be a great eye-opener since your children will finally understand that nothing is free and why they should value everything they have. Most parents tend to exclude their children from these kinds of chores, justifying it as it is a duty for adults. This is the wrong way to address this because your children might feel left out and underappreciated. Try to slowly introduce them to the world of economy and finances, so it would be easier for them to understand certain things later on. Occasional trips to the bank or ATM could be a great way for them to learn about credit cards, loans(like student loansand the different kinds of interest rates for them), view different forms of foreign currencies, etc. Shopping with your children is another smart way to teach them about the value of certain items and products you use in your everyday life. Most children do not have the slightest idea how much money is spent on household products, groceries, and other home necessities. It is a good idea to go on a family shopping trip once a week, so you can carefully take them through the complete process of equipping your home for the next week or month. Paying at the register can also serve as a good example of howyou handle change, credit cards, vouchers, coupons, and similar forms of payment. Perhaps the most effective method of teaching your children the value of money is actually confiding them with some. Giving your kids a weekly or monthly allowance will surely be quite a useful toolin showing you how much your childrenwill learnabout saving and handling money. Try to explain to them how to properly organize their money and how to take care of it, so they can slowly start doing it on their own. They should also learn how to be smart when it comes to spending their money, how to prioritize what they need versus what they want, and how to properly save the rest. Children are quite visual beings, what they see is exactly how they will act. This is why it is important to set a good example and handle your money as best as you can. Also, always be honest with your children about your financial status; just remember not to overburden them as it could have negative effects on both their mental and emotional state. Tracey Clayton is a full time mom of three girls. She loves cooking, baking, sewing, spending quality time with her daughters and she’s passionate for writing.